During the summer, all I want to do is eat color. The brighter and fresher, the better. I stock my fridge with as much produce as it can hold, and then stand back to admire it. 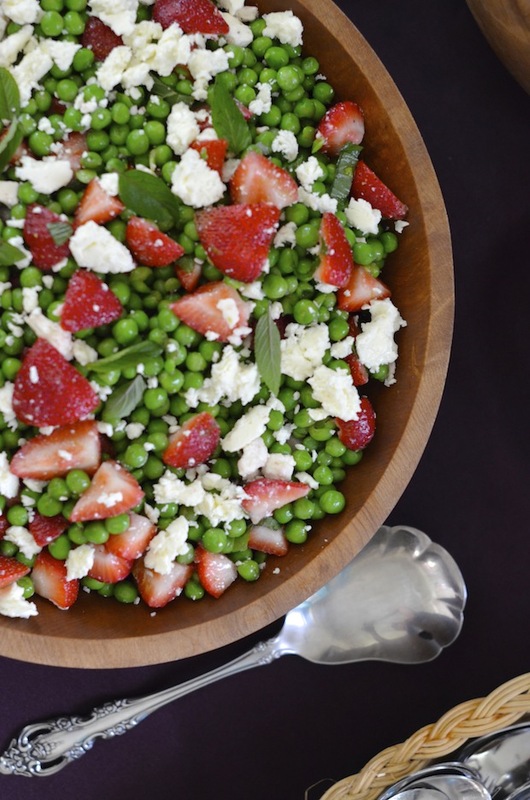 This gorgeous Pea, Strawberry & Feta Salad is one of the dishes I served while up in Vermont this past month, and it just screams warm weather days to me. It's a surprising, but delicious combination that is incredibly easy to put together. The peas are blanched slightly (either fresh or frozen will work! 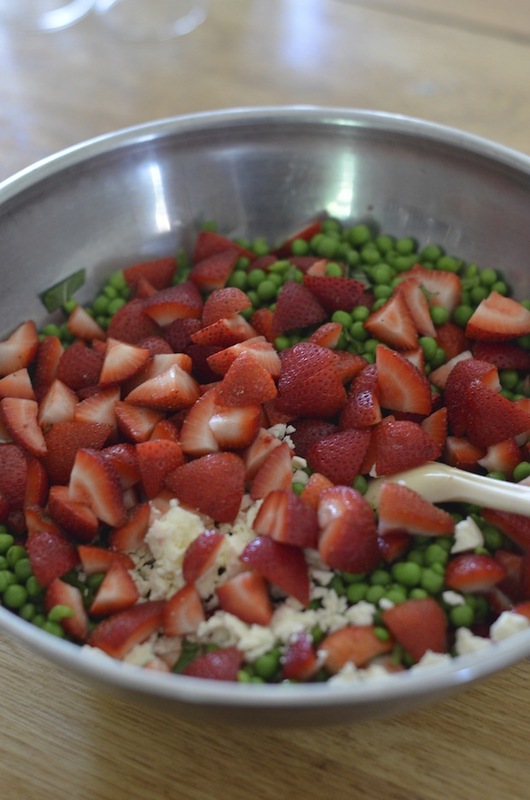 ), then tossed with strawberries and crumbled feta. The dressing, made with lime juice, fresh mint, and a little honey--is the perfect companion to this dish, which happily straddles the place between salad and side. If serving this for a crowd, I would recommend making the dressing separate, then adding it just about 10 or so minutes before serving to keep all the colors bright and fresh. While I kept it as-is, if you'd like to bulk the salad out a bit, handfuls of fresh spinach or peppery arugula would be a nice addition. Boil peas 2-3 minutes, or until tender. Drain and rinse with cold water, then place in a large bowl. Add the strawberries and feta. 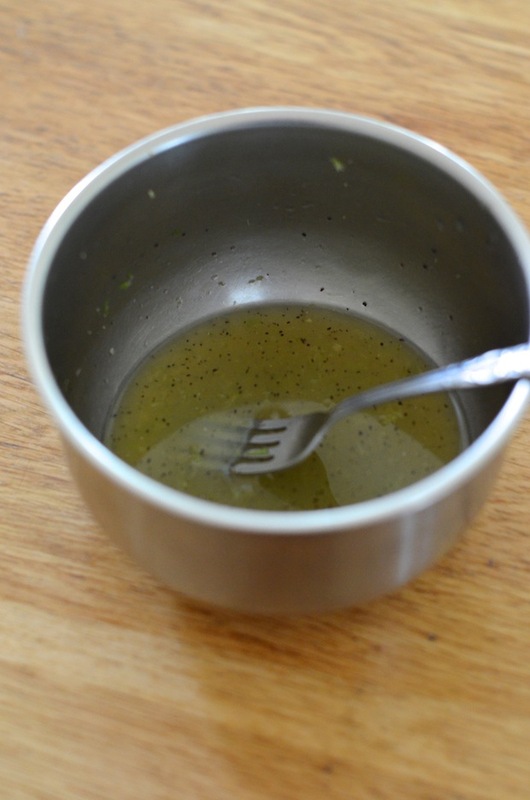 In a separate small bowl, whisk together lime juice, olive oil, mint, salt, and pepper. Just before serving, add the dressing to the salad and toss to coat. Garnish with additional mint leaves.